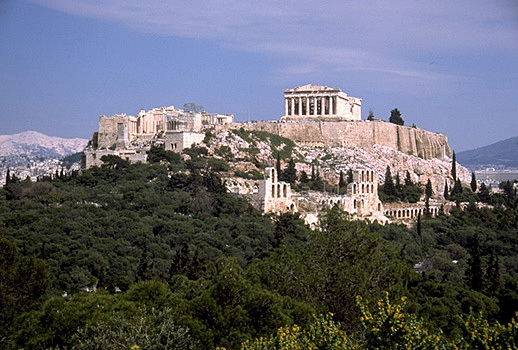 View of the Acropolis from the southwest, showing the Propylaia, the Temple of Athena Nike, part of the Erechtheion, and the Parthenon. Also visible on the South Slope are the Odeion of Herodes Atticus and the Stoa of Eumenes. Photo taken in 1998.